Our delicious Australian Skim Dairy Milk is available in 1L and 2L packs from select Coles and Woolworths stores. All the goodness, without the fat! 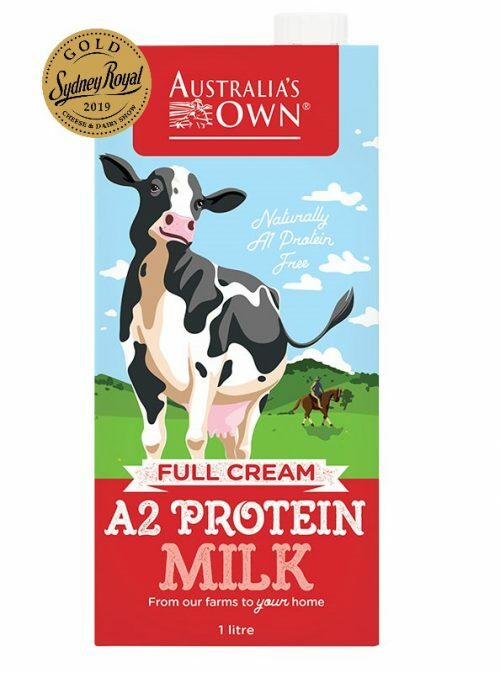 Medal winner at the 2019 Sydney Royal Cheese & Dairy Awards. 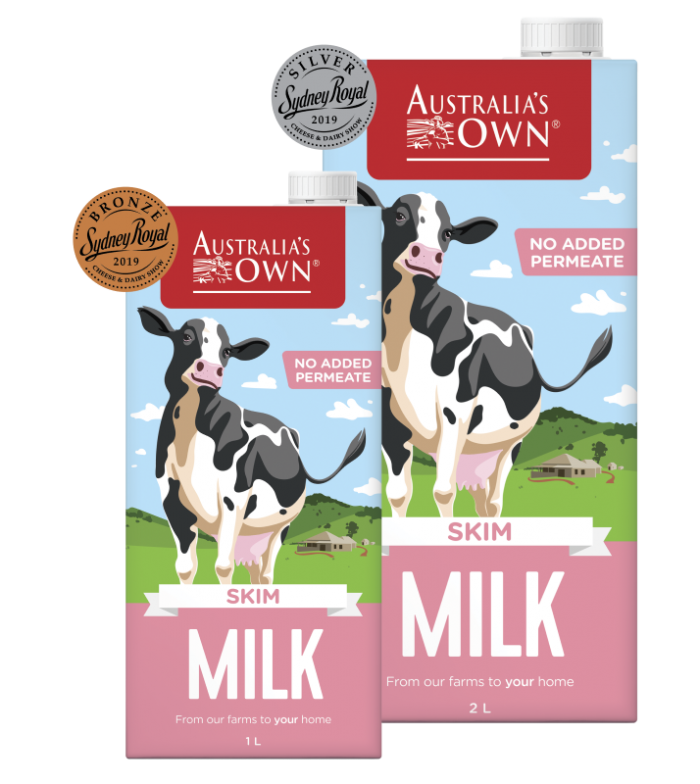 Our delicious Aussie skim milk is available in both 1L and 2L packs from Australian supermarkets! Our milk owes its goodness to the land and its caretakers. 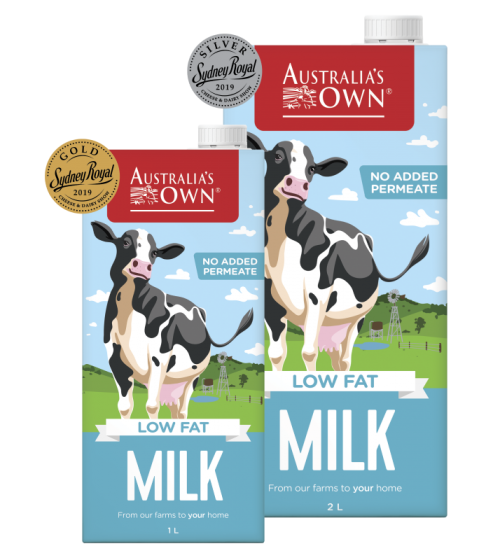 That’s why we source our milk from the green pastures and clean air of Australia. 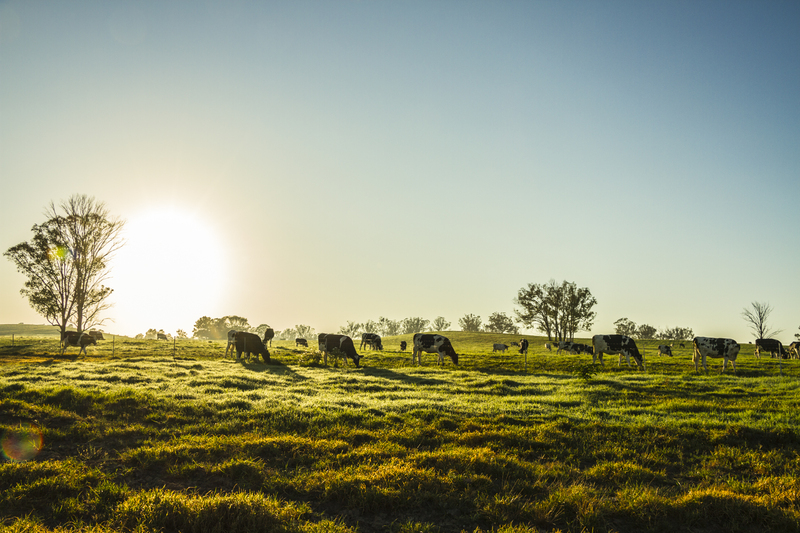 This area is home to our hardworking dairy farmers, who take great care of the land and their cows – growing and nurturing the essential ingredients which make our delicious milk. 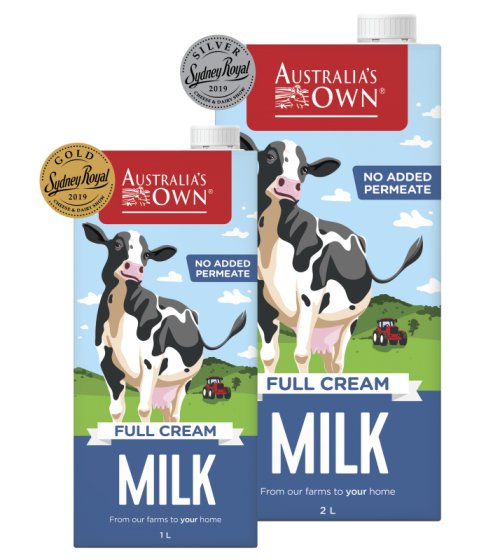 Sealed in a convenient longlife pack to last longer and preserve all the goodness of fresh milk. Stock the pantry so you never go without.